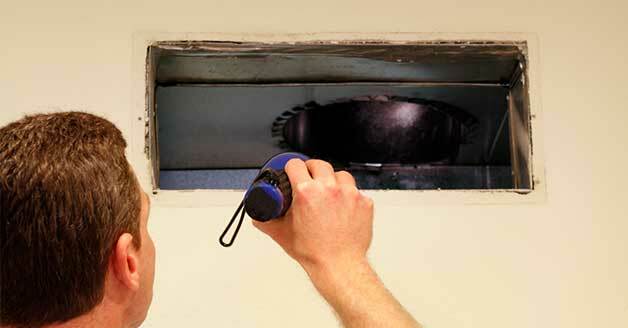 Enjoy quick access to air duct cleaning and repair services in The Woodlands when you call 281-704-3696 today. You can expect dependable solutions and great prices! Clean ducts are crucial for a clean home, so get on the phone to schedule immediate service today. Take advantage of our current online sales and coupons when you click here. The ductwork inside your home is like a series of highways, transporting air to different rooms to help keep everyone in the house comfortable. Over time, the ducts get dirty and the air they help circulate will be dirty as it is distributed throughout the house. Finding a reputable air duct cleaner in The Woodlands, TX is crucial if you want to keep your ducts free from contaminants that can affect your family's health. Have you been wondering what others in your area have been saying about our air duct services? Click here to find out! When you use your HVAC system, dust, dirt and various types of debris will settle in the ducts and disrupt the air quality inside your home. Pet dander and even mold can be a part of the problem as well, causing breathing issues and worsening allergies. If it has been more than a couple of years since you’ve had your air ducts cleaned, make an appointment with our team to improve your indoor air quality and keep everyone in the house breathing freely. Just as with other parts of your HVAC system, having regular maintenance performed on your ductwork will keep damage to a minimum and ensure that the air circulation is exactly where it should be. Just because your ductwork was installed properly doesn’t mean it is immune to damage that affects its performance. When you schedule air duct maintenance, you can stay on top of any issues before they get out of hand. Developing a leak in your air ducts is one issue that professional maintenance and repair can combat. Leaking air ducts will result in losing air to areas of the house that don’t need it like the attic, crawlspace or others. When this happens, your HVAC system has to work harder to reach and maintain the temperature you’ve set on your thermostat, reducing efficiency and increasing your monthly energy bills. Leaks can occur at any time as a home shifts or the ductwork ages, so having it repaired quickly is crucial. Pick up the phone and call Affordable American Air Conditioning & Heating at 281-704-3696 in The Woodlands, TX and the surrounding area for fast, reliable service. You air ducts have an important job within your HVAC system, and if you take care of them they will continue to take care of you.